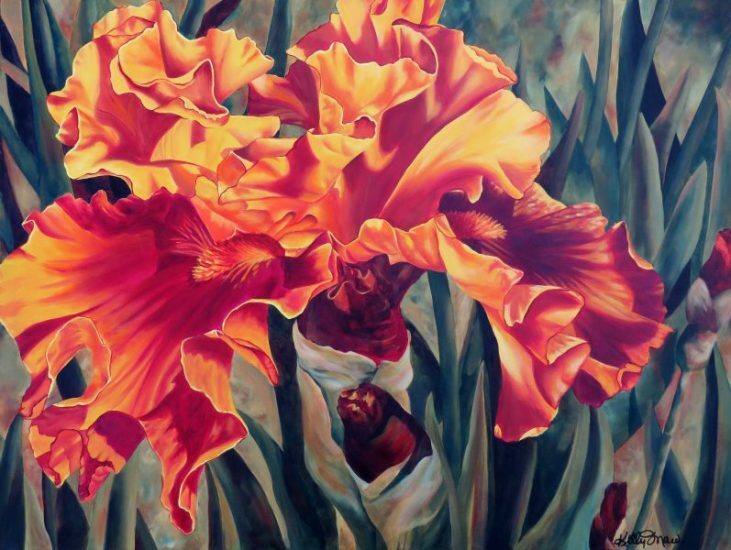 Kelly Maw, Owen Sound – The compelling moment of capturing an image and then transforming it to last a lifetime: the final magical stroke of the brush that fills the irresistible desire to recreate a vision. For Kelly Maw painting fills essential needs – to recreate the tiniest detail – to catch the soft glow of evening light – the vibrant hues in sunshine – a deep shadow – a crisp curve – a sense of depth – a striking contrast. 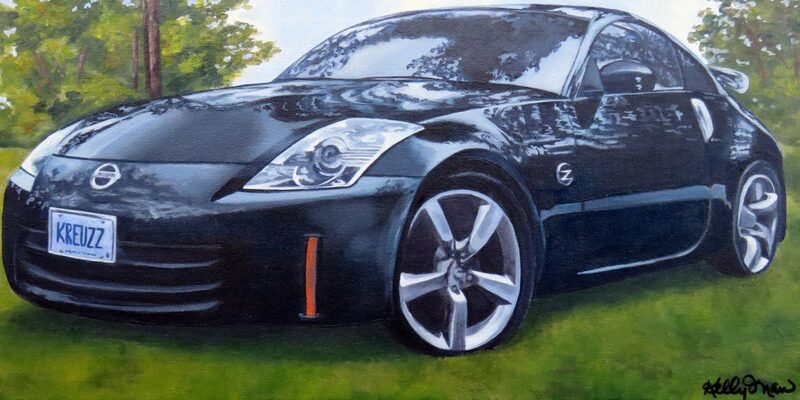 Kelly started painting after the loss of her brother. Plans to paint when she retired were all brought to the forefront and she began her journey painting and sharing her passion with others. Time spent behind the easel inspires, soothes, and rejuvenates her soul. Sharing her passion is a nurturing act and Kelly enjoys teaching painting through Simply Maw-velous Funshops that encourage the same in others. Finding joy in blending colours, mastering brushstrokes, building confidence and cultivating social networks creates a wonderful balance. Kelly is always quick with a quip or silly term and gets great pleasure out of teaching Kelly’s two brush two step, the chica chica and the bend and dip. Students leave her classes feeling inspired, accomplished and full of social love and laughter. 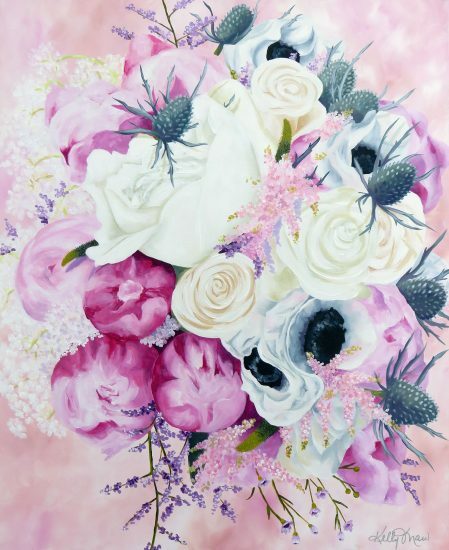 Kelly has been focusing some of her time on painting wedding bouquets – it’s the ultimate subject matter for a painter that loves painting flowers! She will do bouquet portraits or invite her to your pre-wedding cocktail hour and she’ll engage your guests in painting your bouquet for you – what a wonderful memento of your special day and it’s an awesome ice breaker while you’re out getting your photos done! The love of art connects people in a profound way – the joyful bond is empowering, strong and deep. 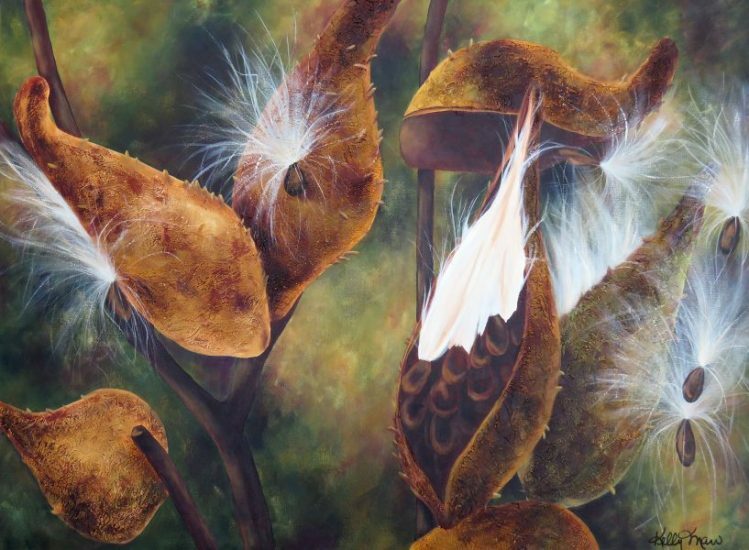 Kelly’s work can be seen at The Owen Sound Artist Co-op, The Southampton Arts Centre, Howard Florist in Meaford and at her home studio in Owen Sound.